Paul Ryan is not speaking out of both sides of his mouth. Paul Ryan’s shadow campaign for the presidency is well under way, and the visible portion peeking above the surface — message videos and gravitas-conferring overseas trips — conceals a larger whisper campaign submerged beneath the surface. If Donald Trump fails to win a majority of pledged delegates on the first ballot, and if Ted Cruz fails to organize a majority on a subsequent ballot, a disorderly and panicked party would almost automatically turn to its recognized leader as the candidate. Alternatively, should either Trump or Cruz win the nomination, Republicans running down-ballot will need a less toxic brand. In which case, Ryan will assume his role as de facto party leader, supplying a friendlier-sounding message for Republicans in blue and purple states. That message is previewed in today’s New York Times, which reprises the familiar themes Ryan has sounded for several years. Some of the differences between Ryan and the declared candidates are real. Unlike Trump and Cruz, Ryan supports the party’s business wing on international trade and immigration. He is pragmatic about political messaging and tactics, and understands that doomed kamikaze legislative maneuvers or gratuitously insulting key demographic groups ultimately sets back the conservative cause. Also on display in today’s story is Ryan’s well-honed talent to conjure an imagined, impossible version of his own policy agenda and present it as reality. The plan never came. In April of that year, it was still in development but due to come out extremely soon. “Sen. Marco Rubio and Rep. Paul Ryan are collaborating on an Obamacare alternative and could announce the proposal as early as this month, according to Republican sources,” reported the Washington Examiner. By January of this year, Ryan — asked if the promised plan would come to a vote — said, “Nothing’s been decided yet.” Later that month, his spokesperson was insisting that many steps had yet to take place, and it was out of Ryan’s hands. 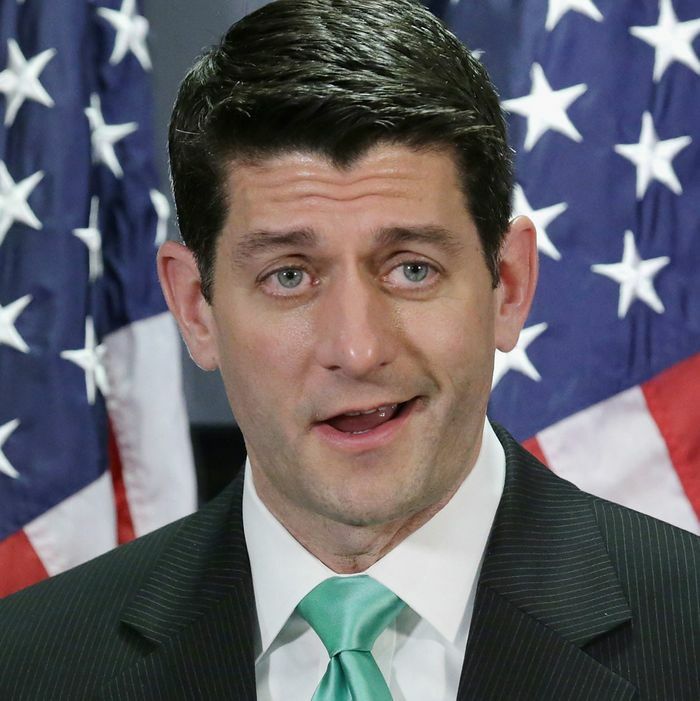 “As the speaker has said many times, committees, not leadership, will be taking the lead on policy development,” Ryan spokesperson AshLee Strong told the Washington Post. “The next step will be forming committee-led task forces that will hold listening sessions with Republican members … The task forces will then develop the specific policy.” Task forces, committees, listening sessions — there is just so much to do. The reason the dog keeps eating the Republicans’ health-care homework is very simple: It is impossible to design a health-care plan that is both consistent with conservative ideology and acceptable to the broader public. People who can’t afford health insurance are either unusually sick (meaning their health-care costs are high), unusually poor (their incomes are low), or both. Covering them means finding the money to pay for the cost of their medical treatment. You can cover poor people by giving them money. And you can cover sick people by requiring insurers to sell plans to people regardless of age or preexisting conditions. Obamacare uses both of these methods. But Republicans oppose spending more money on the poor, and they oppose regulation, which means they don’t want to do either of them. 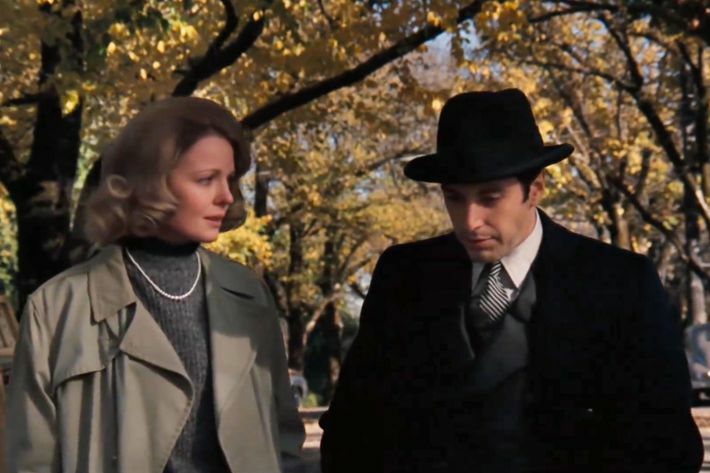 The Corleone family intends to become completely legitimate. Conservatives do have ideas, of course. They would like to deregulate the insurance industry, letting insurers skim out healthier customers and charge higher prices to people who are sick. And they’d let insurers sell much skimpier plans that only cover catastrophic expenses, leaving customers to pay for their own treatments. As for funding, most conservatives do favor eliminating the tax deduction for employer-provided health insurance, which is a source of funding. The problem is that eliminating that deduction would unravel the entire fabric of employer-based insurance, threatening the status quo for most working-age Americans and their families. Throwing nearly everybody who has private insurance onto barely regulated markets, with only a meager tax credit to fund a crappy, catastrophic plan, would be politically disastrous. So Republicans cannot and will not present anything like a detailed party-wide alternative to the status quo. Ryan has gone to enormous lengths to demonstrate to the national media that he truly and deeply loves poor people and wants what is best for them. But however Ryan feels about poor people in his heart, the boundaries of his policy commitments lead inescapably to the result that he is going to massively reduce the amount of money the government spends on helping poor people. If Ryan didn’t share these priorities, he wouldn’t be the leader of the Republican Party, and insiders would be casting their eyes somewhere else for an alternative to Trump and Cruz.